15.01.2018 (Hvino News). Georgia in 2017 exported a record number of wine over past 30 years – 76,7 million bottles to 53 countries (read more here). 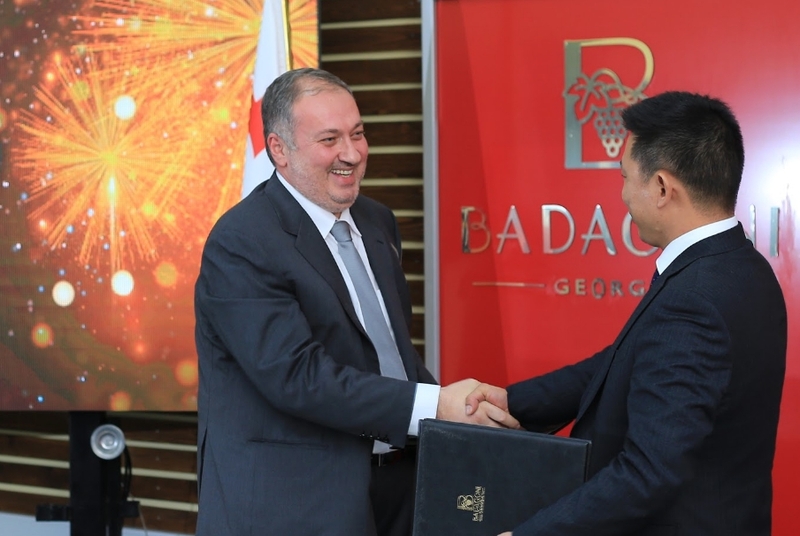 With 2017's sales reaching 7 million bottles, Badagoni wine company appears to be the leader among 250 Georgian wine exporter companies, and is one of the major contributors to huge growth of Georgian wine export. Badagoni was established in 2006 and today owns the winery equipped with the most advanced technologies in whole Eastern Europe. Badagoni experienced a dramatic growth over past several years, and today exports wines to about 30 countries. Badagoni has 35% sales growth in 2017; the largest importers are Russia, China, Ukraine and the European countries. "Badagoni company's philosophy is about creating the best Georgian wines from only Georgian grape varieties, while respecting old, unique Georgian traditions and using the most advanced technologies and scientific knowledge existing in the world's wine industry today", - said Giorgi Salakaia, the company's owner. "Our major success factors are high and stable quality of production and competitive prices", - he added in a comment for Hvino News. It is worth mentioning that Badagoni's major enologist – an Italian Dr. Donato Lanati – is listed among the world's top 5 enologists, and was awarded with an international “Wine Oscar”. Badagoni's vineyards are located in each micro-zone of the Kakheti region, the heartland of Georgian wine-making. This has a major impact on quality. Badagoni carries out its product quality control at the laboratory of ENOSIS Meraviglia international research center in Italy.